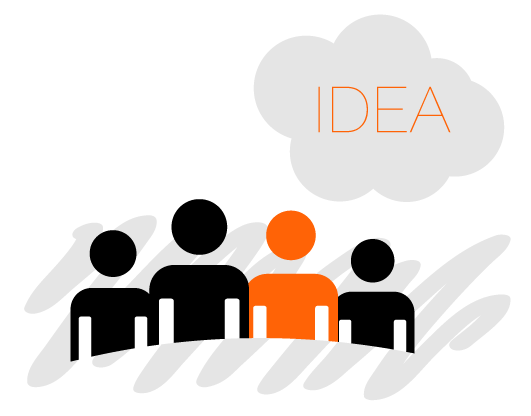 A new idea is the fundamental basis for every successful innovation. At TOP we actively scout for new ideas and stimulate all colleagues to look outside their own scope. New ideas are often born through a process called making new combinations (see Schumpeter). Working together with other creative people, from in- and outside the company (thus working in the open network), results in more and better ideas. Our ideas are written down in compact documents. The collection of all these documents is our Concept Box and we invite you to come and see our collection. When the time is right, a team of diverse professionals selects an idea to pass through to the Lab Jam. The Lab Jam is essentially a challange test for the idea and the last stop before evolving into a NPD project.